Vaporizers are fascinatingly useful, and the average person simply does not understand how they work or why they're such a great tool to own. The most immediate negative impact of cannabis comes from the inhalation methods that the common smoker exposes themselves to on a regular basis. Igniting the buds is an easy and consistent way of reaching the temperatures required to release the various compounds that give cannabis its potency, but the fact of the matter is that the effects of combustion cause significant damage to the respiratory system. Smoke inhalation delivers damaging carcinogens and an onslaught of other damaging materials directly through the bronchial tree and into the lungs. The most immediate effect is the irritation of the windpipe, but long-term exposure to any source of hot smoke is unnatural and very hard on the lungs. 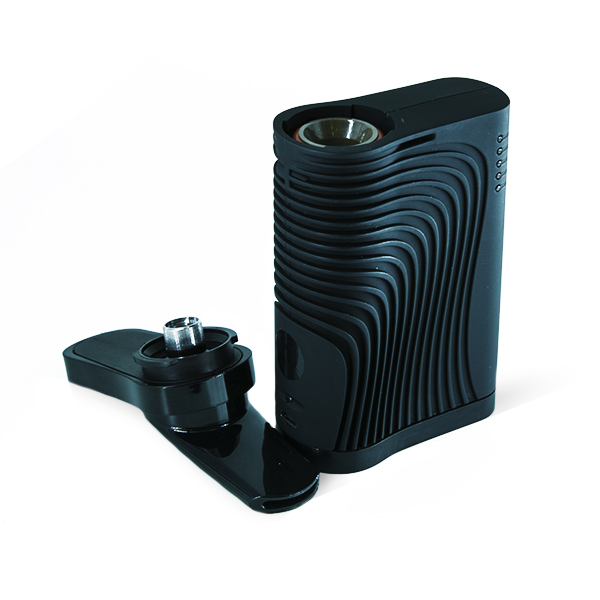 A vaporizer functions by heating the cannabinoids to their boiling temperature. Instead of the buds burning and producing copious amounts of smoke, a vaporizer dehydrates the buds and causes them to release their yield without ever catching fire and subsequently mixing with chemicals in the air as the oxygen burns. What this means in more simple terms is that the vaporizer completely eliminates every last chemical that is directly associated with burning the buds. It's important to realize that these chemicals do not necessarily arise from the plant itself; carcinogens can be found emanating from something as harmless as a campfire. The primary difference here is that patients and enthusiasts expose themselves to smoke so regularly that they put themselves at risk, and this is compounded by rolling the buds up in papers, as the burning of paper also releases additional carcinogens. Foods infused with cannabis also bypass the effects of smoke, but vapors take effect at roughly the same rate as smoking. In terms of health and speed of delivery, the vaporizer wins every time. First and foremost, the nasty byproducts of smoking are eliminated. There's no need for an ashtray as the buds can simply be disposed of once they've been exhausted of their beneficial compounds. Clogged pipes of all kinds become a thing of the past, resin buildup is eliminated and the teeth no longer become stained by all that hot smoke. In addition, the scent associated with burning is greatly reduced. While it isn't entirely eliminated, it does not linger as long or as noticeably as smoke; the smell also does not carry as far as a result. This is a fantastic benefit for both remaining incognito and preventing the smell from accumulating in furniture, clothing, curtains and hair. It is also much more neighbor-friendly, as the chances of them being exposed to secondhand smoke or an unwanted smell is reduced by the factors listed above. What's more is that an indirect benefit of vaporizing is that the chance of accidentally starting a fire or singeing hair is reduced when the lighter is eliminated from the equation. The final benefit that makes vaporizers such a no-brainer is the fact that they are wildly more efficient smoking methods. When smoking, many of the compounds inside of the buds continue to dissipate into the air regardless of whether or not they are being inhaled. This is due to the fact the fire continues to burn for as long as it has a fuel supply available that it can spread to. If the cannabis continues to burn the 30 percent of the time that the patient or enthusiast is smoking, then there is a significant amount of loss happening. The vaporizer also preserves much of the THC content of cannabis, meaning that on a fundamental level, there is more being delivered because of the nature of vaporization. To put this into perspective, let's compare a €200 vaporizer with a pipe. Our example smoker is a simple medical patient that smokes roughly €20 worth of cannabis per week to sooth their anxiety and clinical depression. If their vaporizer is a mere 30 percent more efficient than their traditional method of rolling their buds up like a cigarette, they will have essentially saved €6 per week of cannabis from being wasted. This equates to €312 per year in savings, or 50 percent more in savings than the initial cost of the vaporizer in a single year. These models are often built to last as well, and this means that the savings continue year in and year out. They pay for themselves in a mere eight months. With all of these benefits, it is obvious that a vaporizer is a fantastic choice. As the good name of cannabis is redeemed throughout the world, more and more people will soon discover that the vaporizer is an extremely smart choice. From easy-to-use portable vapes to luxurious and elaborate high-end vaporizers, here in the vaporizer category at Royal Queen Seeds, you are guaranteed to find the perfect vape for your unique needs and budget.